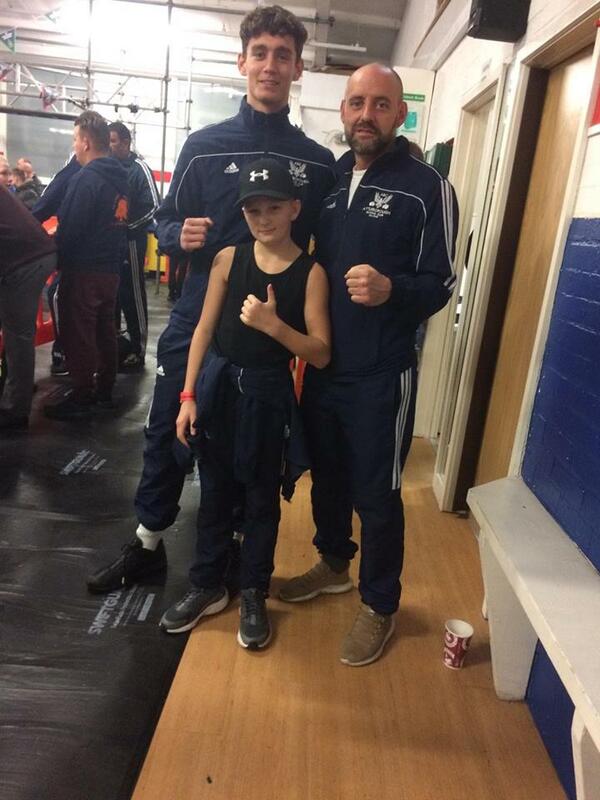 TeamABC traveled to Essex for the Billericay boxing show where we were represented by two of our accomplished boxers. First in the ring was our youngster Paul Tyler who faced very good home opposition. With his opponent showing his class very early on Paul Tyler had to dig deep into his resources to compete , the ABC man did so wholeheartedly responding bravely and kept himself in the bout with his boxing skills. With the home crowd behind their boxer our young boxer faced a big task if he was to win this contest , unfortunately despite a performance that everyone was proud of we had to concede defeat by way of a unanimous decision. Kieron Riley faced a very tall opponent from Brighton in his bout. Starting the contest well the Exotic Carvings sponsored ABC boxer had the better of the first round. His opponent showed his class in the second round and got the better of our man to even up the contest. The third round continued to be a tough with both boxers exchanging hard punches but it was the man from the south coast who took the round to win a very tough bout. Despite our boxers not getting the results they wanted both did their club proud and will return better from the experience.